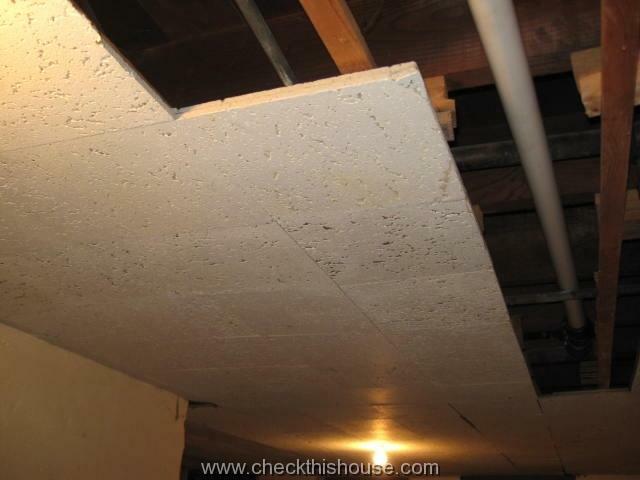 Does a statement “you have asbestos in your home” sound scary? As usual, many of the “scary” things in our homes are scary because we don’t have any background / knowledge about them. One of those “things” is ASBESTOS – a mineral made out of microscopic fibers. Exposure to a high concentration of asbestos airborne fibers puts us at a great risk of developing asbestos related diseases, and no safe level of asbestos exposure has yet been determined. Asbestosis – The lungs become scarred with fibrous tissue, which reduces their capacity. But … having asbestos in your home doesn’t necessarily mean that you are going to get cancer – REMEMBER – just because you do have asbestos in your home (as an material containing asbestos fibers) does not mean that your body has been contaminated and you’re going to get cancer – asbestos is not radioactive! So, please relax, look at the pictures, and let me do some explaining. 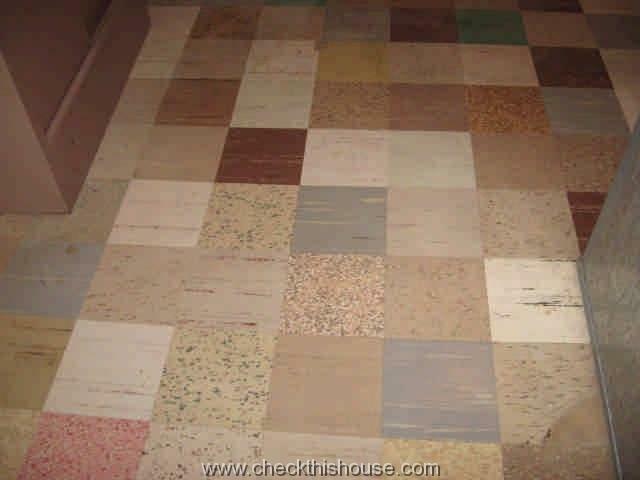 Full bouquet of colors – most popular 9″x9″ (almost 100% of those have a high percentage of asbestos) but other sizes too. Theyʼre often used in older basements, multi unit buildings, and many other places – they were cheep and easy to maintain. 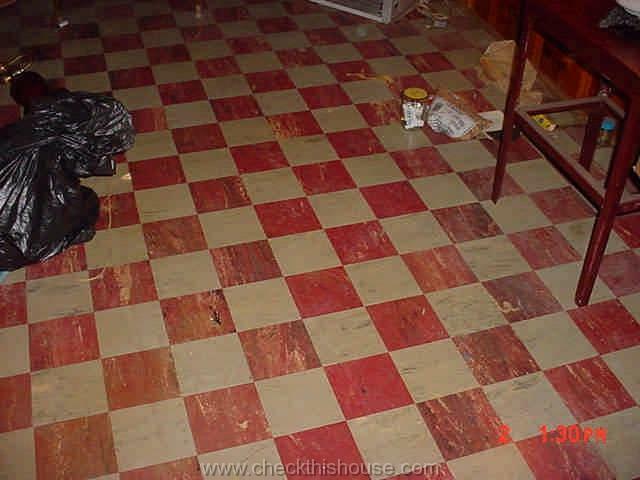 Other flooring materials reinforced with asbestos fibers are sheet linoleum and glue used to secure it to the sub-floor. Undamaged, properly secured material doesn’t present any health hazard, but it might become problematic and quite expensive to deal with if we decide to remove it (assuming that a professional is doing it safely for you). 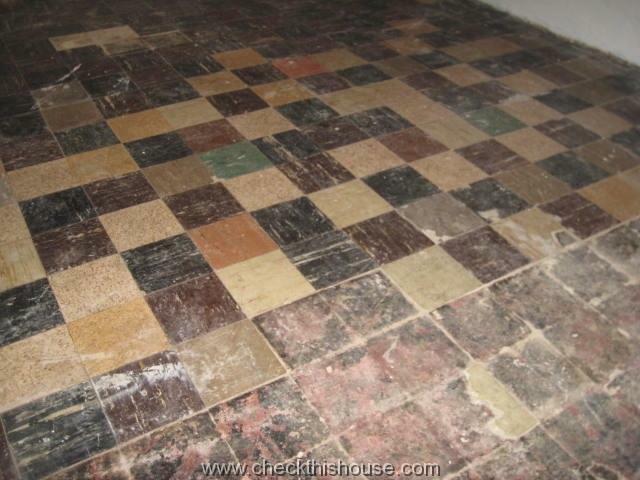 But wait, if it is not absolutely necessary to remove it, there is another way to deal with this type of asbestos in your home – it can be sealed (encapsulated), and another type of flooring material installed over this surface, which should save you some money. Any servicing of a material containing asbestos in your home (repair or removal) should be performed only by a professional trained to handle asbestos safely. 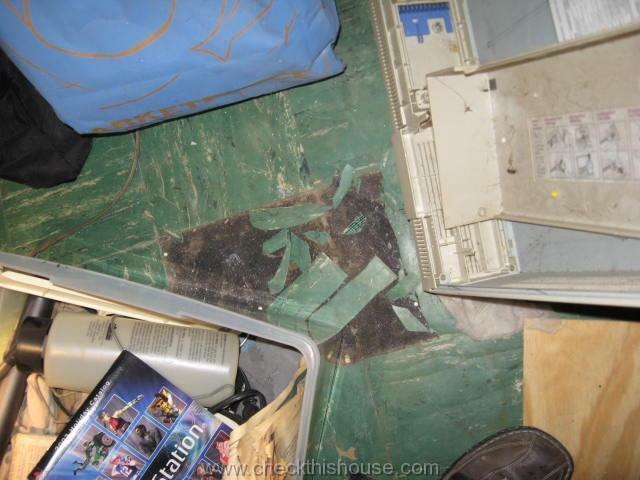 This is another popular basement decorative element which might contain asbestos fibers. It mainly applies to the tiles permanently secured to the ceiling, and not likely to the removable (suspended ceiling) tiles made of fiberglass or cellulose. The same principle applies to this suspect asbestos in your home: if it’s not damaged, it will not cause any harm. 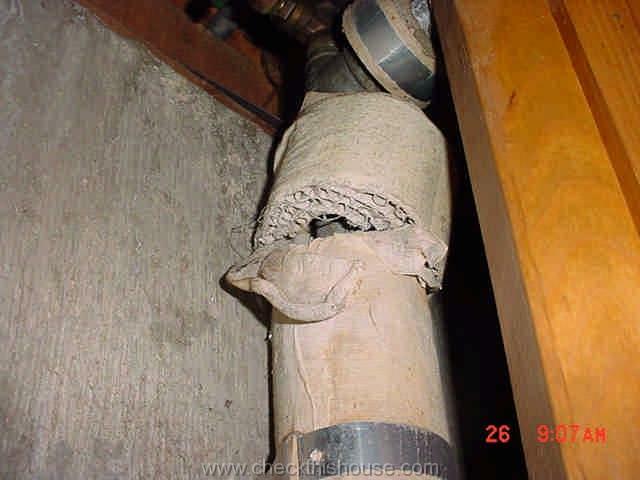 On water and hot water / steam heating system pipes, asbestos may be installed along the straight sections and / or elbows only – for as long as it’s intact, there is no danger. However, because of condensation, leaks and physical impact, damage may occur. 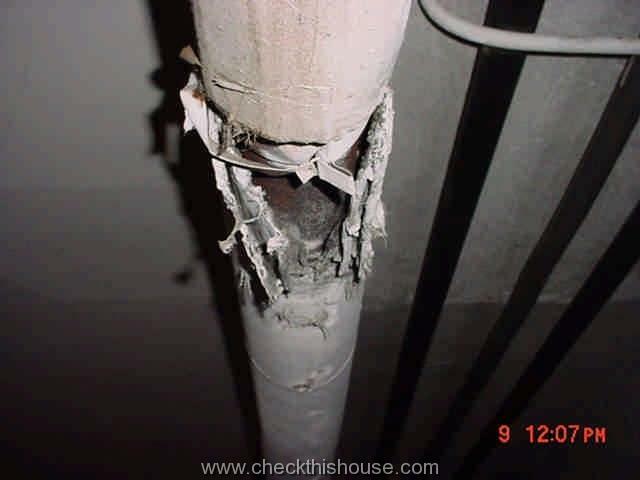 If you see deteriorated, flaking or powdery material falling off the pipes, you should get a professional to sample it and perform either removal or repairs if necessary. 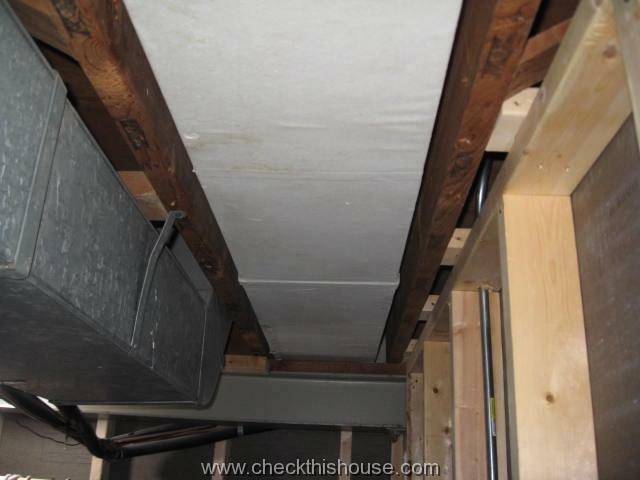 Forced air heating system ducts are critical for a very important reason – some of them might have interiors (or sections) lined with thin asbestos containing paper, or thick, cardboard-like paper has been used as a duct wall. 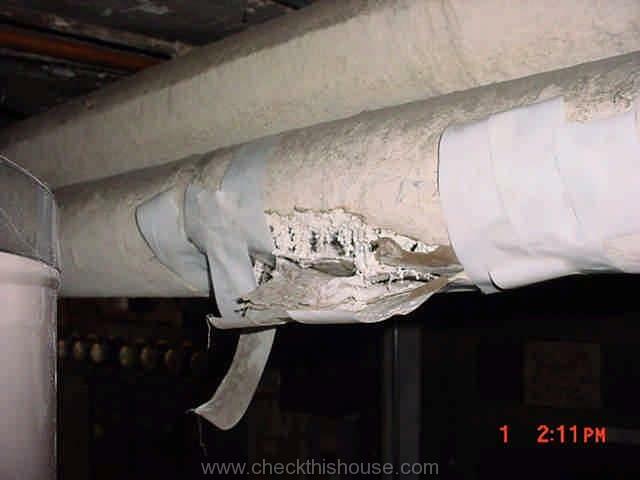 If it is damaged or deteriorating it will produce asbestos airborne fibers; every time your forced air system is activated, asbestos fibers will be picked up by your air circulating system. This makes it 100% asbestos in your home item! Before hiring a duct cleaning company, it would make sense to ensure that there’s no asbestos containing material inside the air ducts! 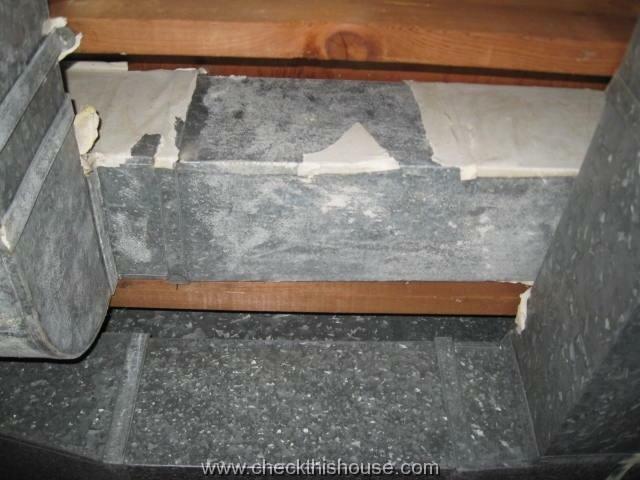 Another potential risk is with the air ducts embedded into the concrete slab. There are a few types of pipes used for this purpose and one of them is called a Transite Pipe. 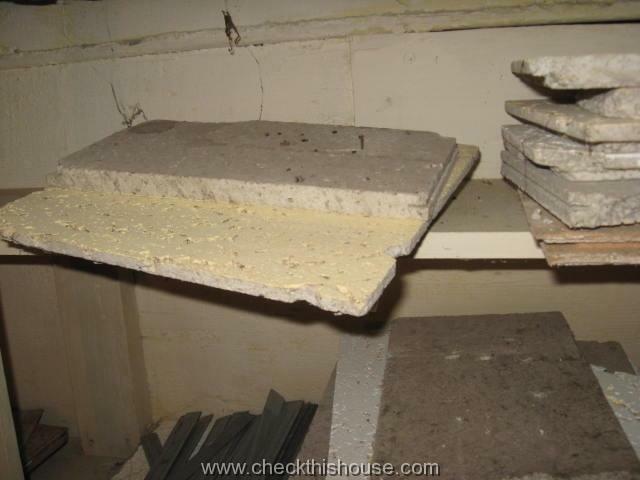 For more on asbestos follow this link to Asbestos in your home Part 2. Before I became disabled from a failed spinal fusion in June, 1989, I was director of technical services for Analytical Management, Inc., an environmental consulting firm here in Lexington, Kentucky. Although I haven’t been able to work for 21 years now, I find myself still wishing I could get up and go back to my old job, even though the company no longer exists, after the passing of the owner, Mr. Jay McCoy. Today, I was looking at photos of various types of A.C.B.M. when I came upon your site and wanted to compliment you on how well you put forth the problems of asbestos materials and how to handle them. I just wanted to write to you and commend you on a quality web site dealing with a hazardous material.